Stevie Wonder is an acclaimed, multi award-winning and highly influential soul and pop performer, songwriter, producer and musician who, since the '60s, has racked up many hits including: 'Uptight', 'Happy Birthday', 'Superstition', 'My Cherie Amour', 'Boogie on Reggae Woman', 'I Wish', 'Sir Duke', 'As', 'Happy Birthday', 'Isn't She Lovely', 'Don't You Worry 'Bout a Thing', to name but a few. 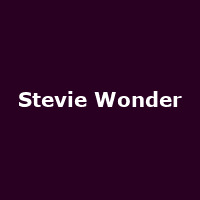 From an early age (just 12), Stevie released a prolific number of albums in the '60s and '70s, including his 1962 debut "The Jazz Soul of Little Stevie", the number one-selling "Recorded Live: The 12 Year Old Genius", "Up-Tight", "I Was Made to Love Her", "For Once in My Life" and "My Cherie Amour". That's just a sample of his '60s albums. The '70s saw Stevie's popularity skyrocket, with the release of "Signed, Sealed & Delivered", "Music of My Mind", "Talking Book", "Innervisions", "Fulfillingness' First Finale" and, what many consider to be his masterpiece, "Songs in the Key of Life". The '80s saw the release of "Hotter than July", "The Woman in Red (soundtrack)", "In Square Circle" and "Characcters". Since then he has recorded the "Jungle Fever" soundtrack, "Conversation Peace" and "A Time to Love".